I first came across the term “shoebox lie” in the weekly outdoors column of my hometown newspaper. The authors talked about picking trout out of small lies along the banks and behind small rocks. All anglers know that trout need a break from the current. But let’s think about that more literally: they can’t have their body being pushed by heavy current, because they would have to expend too much energy to fight it. So, if a trout’s body only takes up a blob in the water roughly four inches high, two inches wide and fourteen inches long (twenty for the optimistic! ), one can reasonably say that a trout only needs a pocket of calm water the size of a shoebox lie. 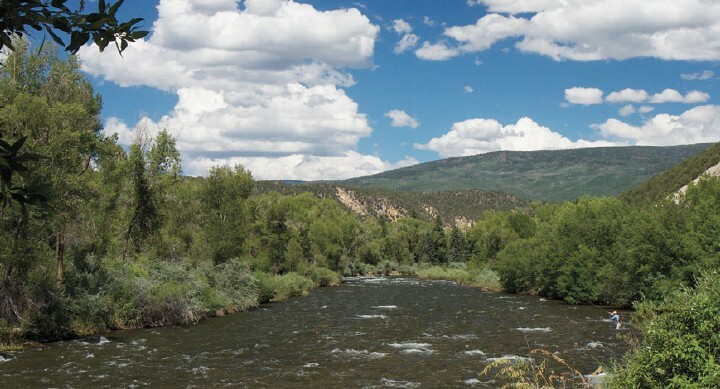 Central Colorado is unique in that it has many high-gradient rivers, such as the Eagle and the Roaring Fork. These streams have sections that drop many hundreds of feet in just a river miles. Anywhere that a boulder or other object obstructs the stream flow, a calmer pocket is created, but since the stream gradient is so high, this pocket will often be quite small. Shoebox lies (shoebox-sized) have put out plenty of fish for me. But I have found that in general, pockets ranging from kitchen-sink sized up to Volkswagen-sized are the most productive. As most anglers know, anything obstructing the river’s current can create one of these lies. Both on the downstream side, and even on the upstream side too, in the ‘cushion’ of water that is formed as the current parts around the obstacle. When picking apart these holding lies, one must remember that wherever there is current, flies will travel along with the current as they sink. Knowing the approximate speed of the current and sink rate of your flies can help. 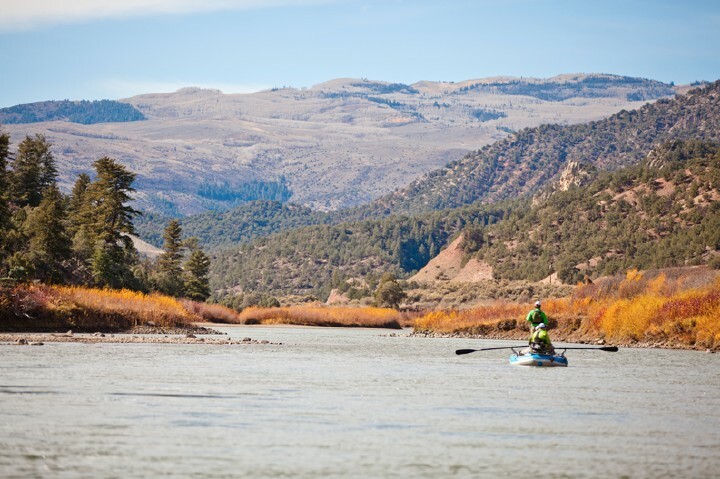 It will allow you to determine how far upstream of the sweet spot your flies will need to land. Consider a scenario where the current is moving at roughly 6 inches per second. In this case the flies sink at roughly 6 inches per second, and the water is 2.5 feet deep. These parameters dictate that to reach the bottom in time, the flies must land 2.5 feet upstream where you think the fish is holding. This is an extremely simplified scenario, as there are an infinite number of hydraulic forces at work that determine how fast flies reach the bottom. Nonetheless, the catch now becomes: remember how we mentioned that many of the lies that fish will be holding in are less than 18” end-to end? If the fly does not sink fast enough, it will often drift right out of the prime holding water before it has had a chance to sink all the way to the bottom. Taken together, all the above facts make the case for plenty of weight on your rig, as most anglers already know. However, traditional split shot and indicator rigs are not suitable for lies that may be no larger than a kitchen sink. Strike indicators do not tell you what is happening with your flies, they tell you what is happening with your split shot. Since the pocket is often so small, the 10-20” of tippet between your first fly and the split shot often means that even if the indicator is sitting right in the sweet spot, the flies may be somewhere else entirely. With all this in mind, I have found that tight-line nymphing techniques are the most effective for fishing small pockets of holding water. One could write a whole book (and George Daniel did, called Dynamic Nymphing) on these techniques, so I will not discuss them in detail here. All I will mention is: long, light rods such as the Sage ESN or Redington Hydrogen (10 or 11-foot 3 or 4 weights), 10-15 foot leaders, and flies heavily weighted with tungsten beads. The angler is usually standing no more than 25’ away from the lie they are fishing, and often much closer. The heavily weighted nymphs ensure that a direct, tight-line connection is maintained between the flies and the rod tip. No fly line or leader lies upon the water’s surface, and strikes are detected simply by feel. As previously mentioned, it is imperative that flies get down quickly. To ensure this, I tie most of my nymphs with 2.5 and 3mm tungsten beads, occasionally 3.5mm, and occasionally adding a few lead wraps behind the bead. Also, flies that are more sparsely dressed sink faster than heavily dressed patterns. Heavily dressed flies sometimes look more lifelike, but will always sink more slowly. The angle at which the flies enter the water also plays a key role in sink rate. 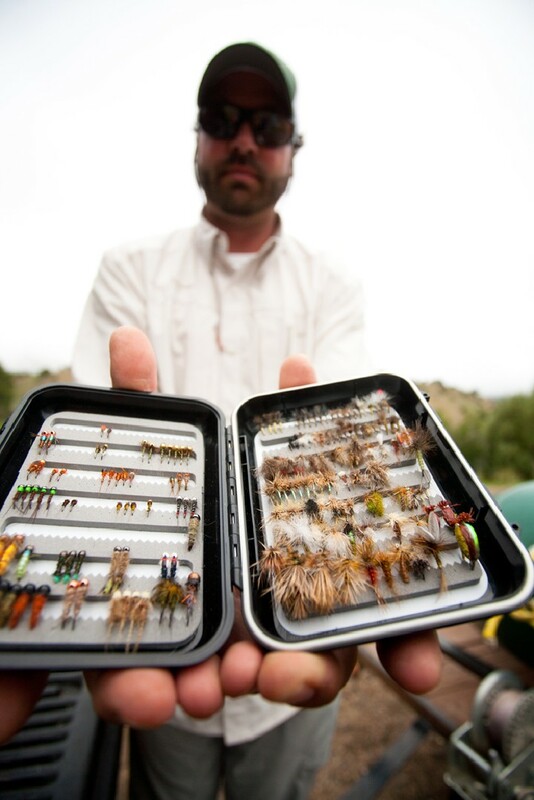 Anglers should utilize a tuck cast to ensure that the flies enter the water vertically. A tuck cast is formed by stopping the rod tip sooner, and letting the flies ‘tuck’ under the main leader as they land. Observe the two small splashes caused when the nymphs hit the water. 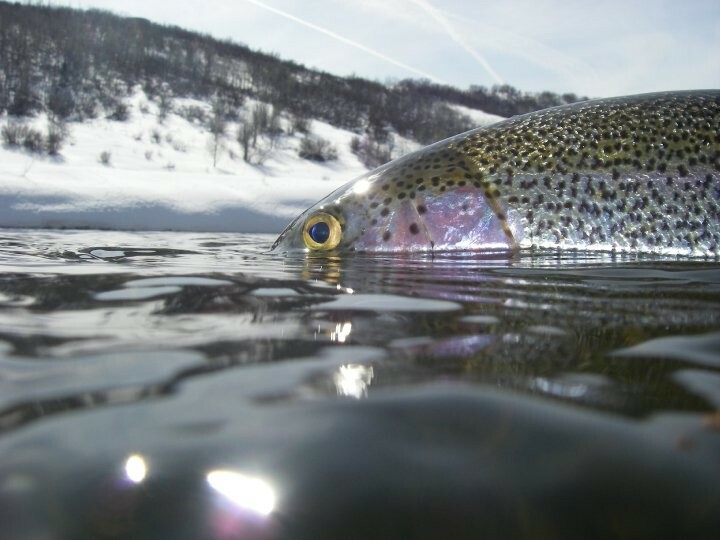 If the distance between the splashes is comparable to the amount of tippet between the flies (say between 16 and 24”) then the cast needs to be adjusted to achieve a steeper angle of entry for the flies. Ideally, the two splashes will be 2-4” apart. Again, Daniel’s book covers tuck casting in detail. Learning to fish small lies on any size of water is a fantastic way for anyone to increase their catch rates, as it vastly increases the amount of water one can fish effectively. Gone will be the days of seeking out long, luxurious pools and runs when one can fish the steeper, rougher sections containing countless tubs, buckets, and pockets. All it takes is a refinement in technique, and anglers will suddenly find miles of water that the previously walked right past without a second glance. Ed Mulhern has fished in four Fly Fishing Team USA regional events and one U.S. Fly Fishing Championships. He received a B.S. in Mechanical Engineering from Colorado School of Mines in 2014. He currently works for a software company in Denver.